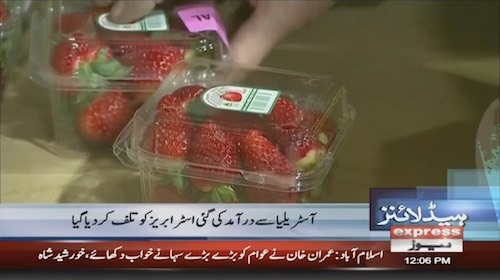 The Countdown supermarket chain said it had taken a brand of Australian strawberries off the shelves after a sabotaged punnet — a plastic box — was sold in an Auckland store. The strawberries, from Western Australia state, were sold in Countdown stores nationwide last week and only one incident of tampering was reported. “We take food safety very seriously,” the company said in a statement, adding it was in touch with authorities investigating incidents of needles found in strawberries in Australia in recent weeks.